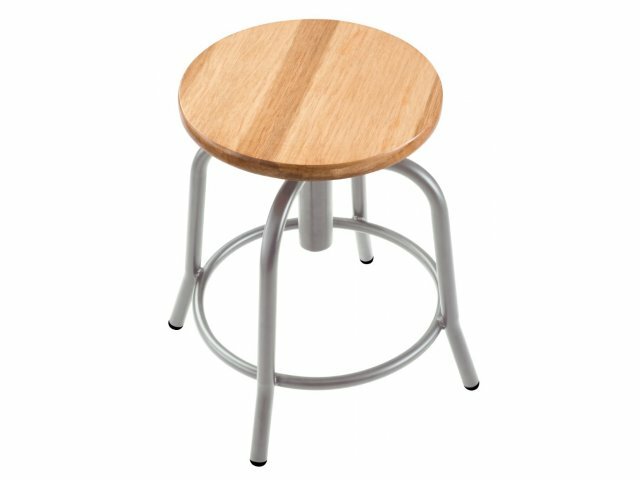 The wooden seat on this lab stool creates a more natural feel in your workspace. Beautiful lacquer finishing brings out the natural brilliance of wood. 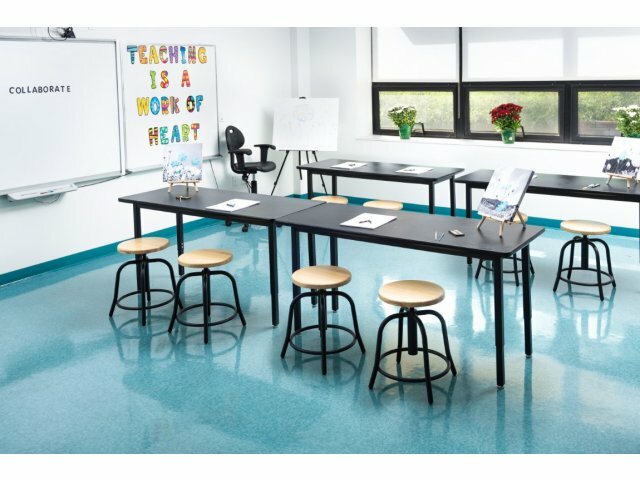 Don’t settle for the standard when you can enjoy the premium NPS Designer Lab Stool. This durable seating has a stylish curved-leg design which will enhance the modern professional feel in any space. 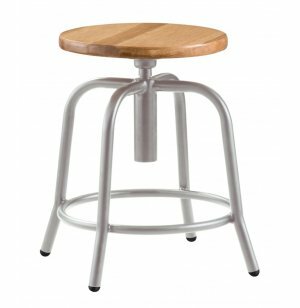 The adjustable-height stool has a steel-center sleeve which conceals the height-adjustment pole, to maintain an elegant appearance. 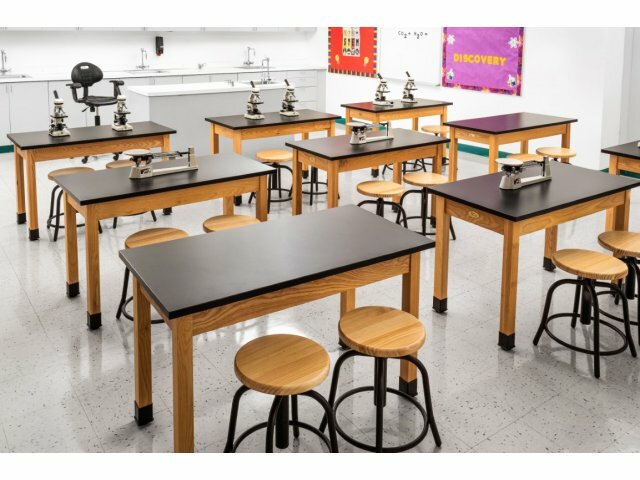 Unlike traditional stools, this sleek seating combines durability and elegance, which will serve any science lab or work space well. It includes a full 360-degree swivel, and adjustable height. Getting a perfect fit is as easy as turning the seat. The 18-gauge, heavy-duty steel frame provides sturdy support throughout any project or assignment. 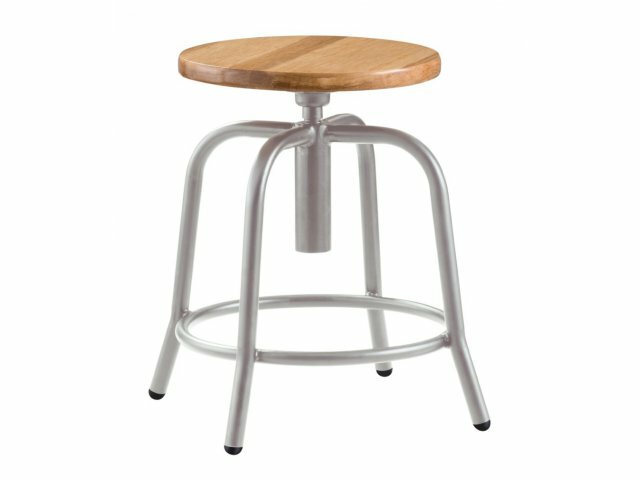 Solid Seat: Tough, 1"-thick solid hardwood seat has a clear lacquer finish. Beautiful Choices: Choose from 2 sleek base colors. Comfortable: A steel-ring footrest offers enhanced support while you work. Flexible Position: Seat swivels a full 360 degrees. Easy Adjustment: Height adjusts between 18-25” inches by turning the seat. Stylish Design: A premium steel center sleeve conceals the height-adjustment pole, to maintain a professional appearance. 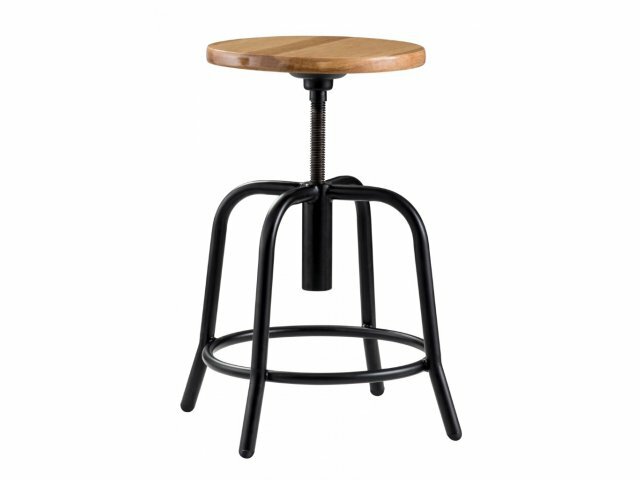 Sturdy Frame: Elegant curved legs are constructed from 18-gauge, heavy-duty steel.